You are invited to be part of this Pink Lady Event which includes a Mini-Field of Women event to pay tribute to all those affected by breast cancer in our community. 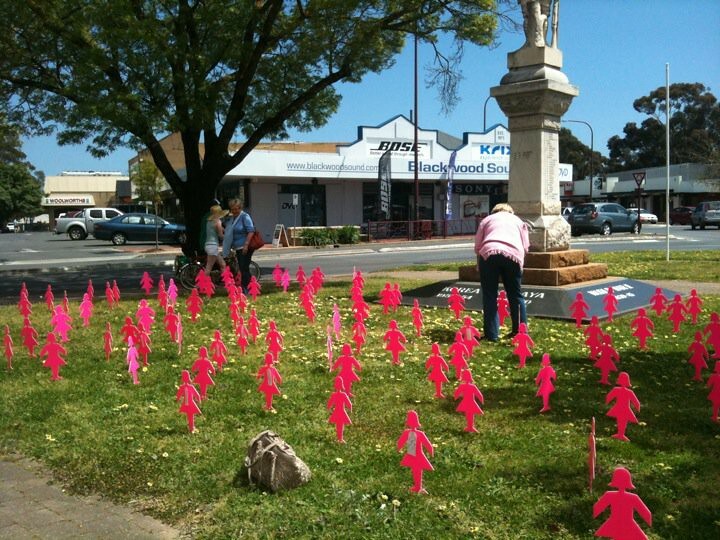 Come and light a candle for a loved one and then place a Pink Lady in the Mini-Field of Women out the front of the Church. We will be providing afternoon tea and are having displays and talks. Mini-Fields of Women are displays of 100 pink lady silhouettes symbolising the 14,000 Australian women diagnosed with breast cancer each year and the 2,600 women who die from breast cancer each year. This event supports two charities – Breast Cancer Network of Australia (BCNA) and the Cancer Council.